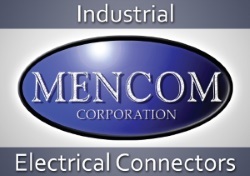 Founded in 1987, Mencom Corporation provides high quality, cost-effective solutions that meet industrial electrical connector requirements. Our highly trained staff of experts utilize decades of electrical and electronic industry-related experience to develop the highest quality products available. In addition, this vast expertise allows us to assist OEM customers in selecting the best products to meet their unique connection requirements. This ensures our customers receive the most cost-effective solution possible, plus one that requires minimal installation time, reducing the customer’s total installed costs. Mencom offers a complete line of custom-made and off-the-shelf electrical connectors.